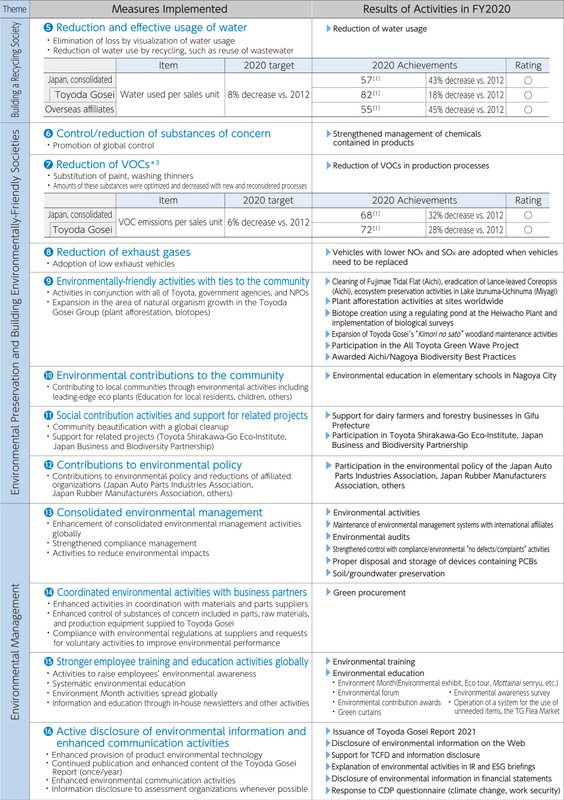 Sixth Environmental Action Plan Activities and Results | Toyoda Gosei Co., Ltd.
*2 We have set individual targets for each year to achieve the FY2020 targets, but the amount of packing material used has increased with the increased shipments of spare parts due to the 2016 Kumamoto earthquake and the flooding in northern Kyushu in 2017, as well as the larger size of parts. Figure when the reference value is taken as 100. 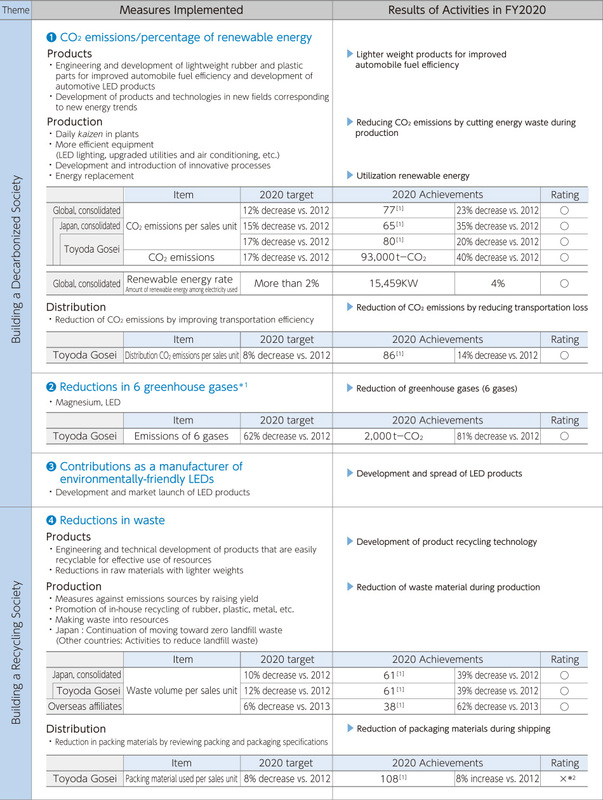 For CO2 emissions we received third-party verification.